Earlier classified as Polygonum virginianum or Tovara virginiana, this native commonly occurs throughout much of the Mid-Atlantic Region. It also is called Jumpseed because pressure on its mature seeds causes them to jump off the plant for dispersal. 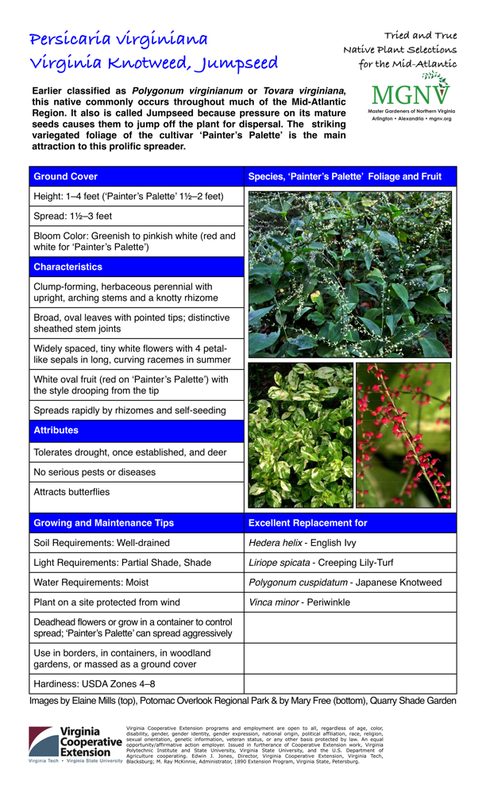 The cultivar ‘Painter’s Palette,’ which can spread aggressively, is grown primarily for its attractive variegated foliage.